1. the solar panel: monocrystalline silicon or polycrystalline silicon solar energy cell, power: 30-60W, 20 years life. 2. storage battery: high(ly) reliably maintenance lead - sour storage battery, 12V 35AH~65AH, 3 years life. 3. the light source: 11~20W ultraviolet lamp. 4. the controll system: light controll+ time switch, and crosses filling, puts excessively and the short circuit and waterproof protection, the high reliability is designed. 6. insect-catching time: 3-4 hours every night, continuous 3-5 rainy days. 7. pole material: iron casting and steels, 20 years life. 8. height: 2.5m. 9. 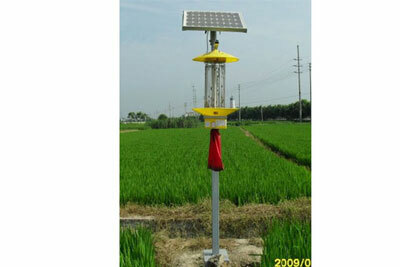 Application: the place of insect need to be gone out in orchard, farmland and farm etc. Solar street lamp configuration calculated?